A lovely ceiling pendant, suspended from an antique brass finish ceiling mount and chain. 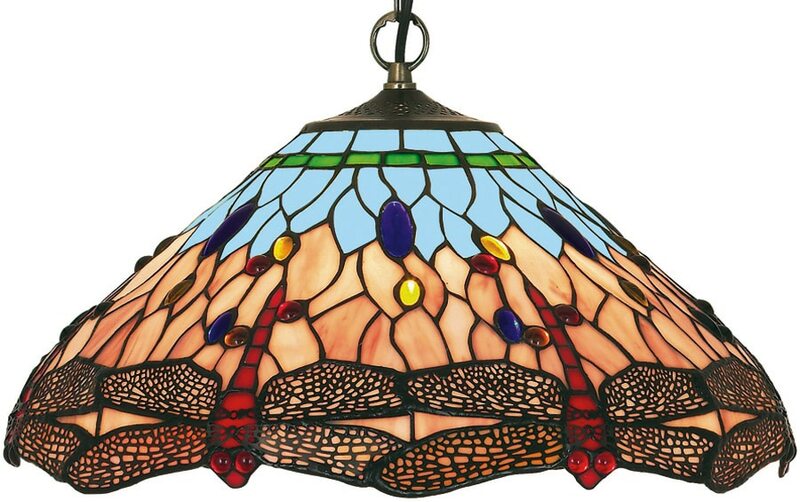 The handmade red dragonfly motif Tiffany shade is made from pieces of coloured glass, soldered together using traditional techniques. Height adjustable by removing chain links, maximum drop 1120mm. 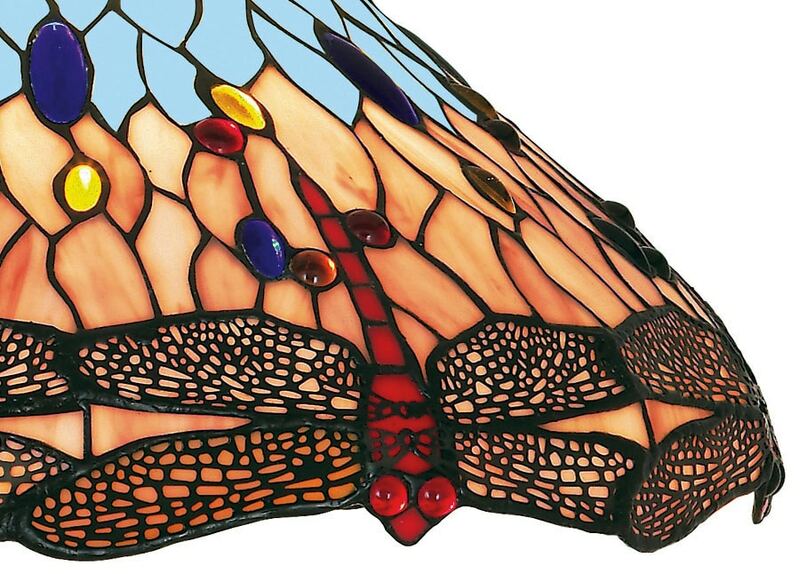 The Dragonfly collection includes a matching flush fitting, a table lamp and floor lamp. What materials are used for the shade? The shade is made from coloured glass pieces that have been soldered together and form the design. The metalwork is antique brass finished mild steel. I have updated the description with the information.